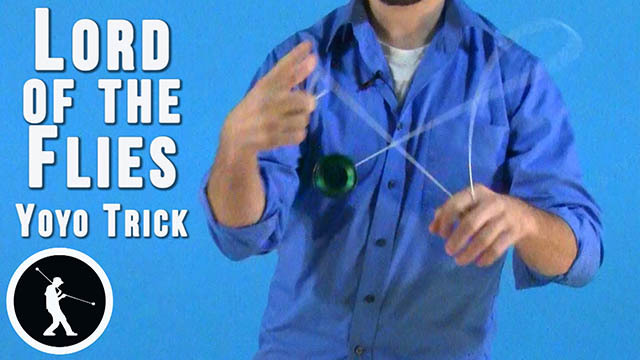 Learn how to do the Lord of the Flies Yoyo Trick. Lord of the Flies Yoyo TrickThis trick is called Lord of the Flies, here’s what it looks like. This trick looks pretty complicated, but what it really is, is just a bunch of different slack elements put together. First off, it starts with the Iron Whip. 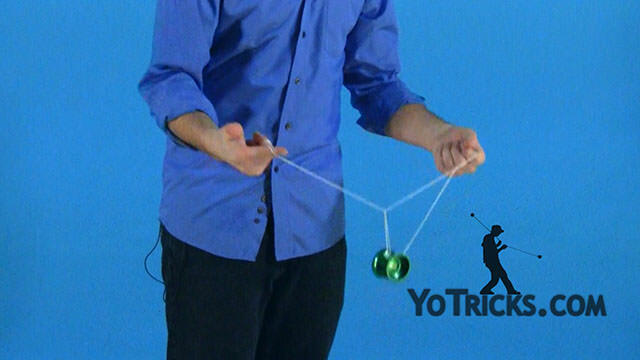 From there you pause it instead of actually whipping the yoyo. 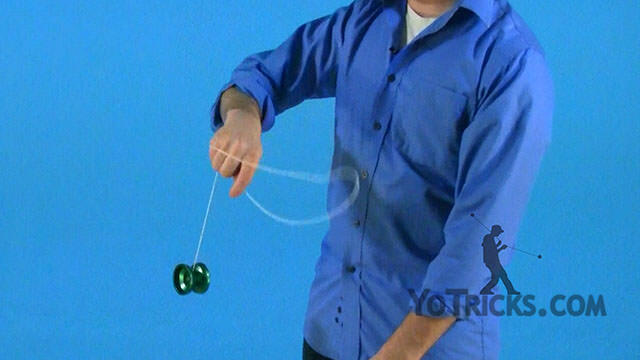 Next, is, you are going to pop the yoyo up, and then use the slack, while you are still holding onto it, and swing underneath the yoyo. That causes the first movement. From there, as you swing it underneath, you are going to pop it up a second time and let go of the slack, and then bring it into a Green Triangle Laceration. That part can be a little tricky with where the slack is going and where the string is. If you take the time and time it out you can make sure that the slack is all even and will end up in the Green Triangle, and not in a mess. One more thing. While you are doing the trick, it is cool that you can repeat this swing underneath part for as many times as you want before you do the actual Laceration. That was Lord of the Flies.